Wonderful straight-ahead jazz. From the opening phrase, an upbeat sound that sure to evoke some happiness in every listener. Jazz from NYC. The concept of this project was to pay tribute to everyone who has helped me get to this point in my career. Thus the title, "Just Remember." The spirit of this tune communicates how grateful I am to be making and sharing my music with everyone! 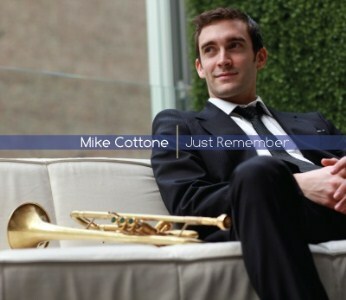 Mike Cottone (trumpet), Jeremy Viner (tenor sax), Christian Sands (piano), Paul Sikivie (bass), Ulysses Owens Jr (drums).